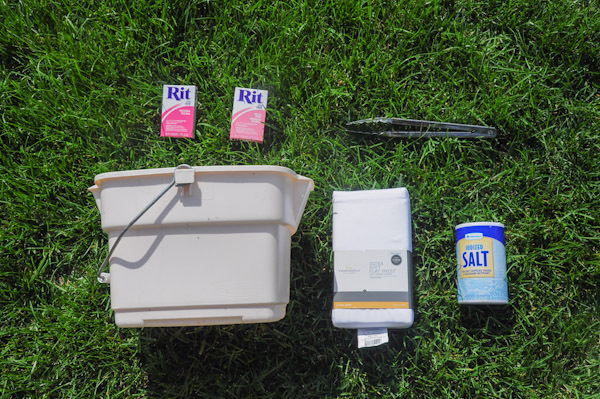 This is another DIY project down over with Amorology. 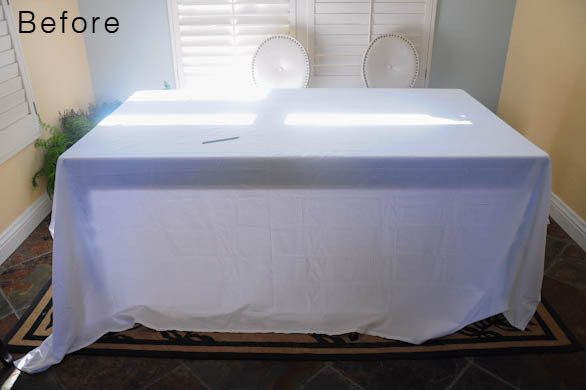 Using the same technique as the Dip Dye Shirt, we have created this elegant tablecloth; perfect for weddings! 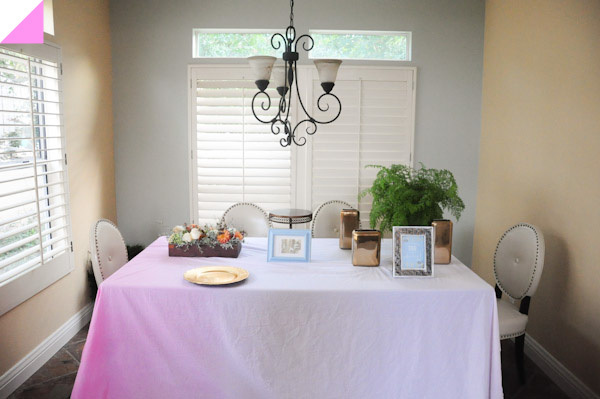 To save money, I actually use flat bed sheet instead of a tablecloth. Buy 2 different dyes to create a larger gradient effect. 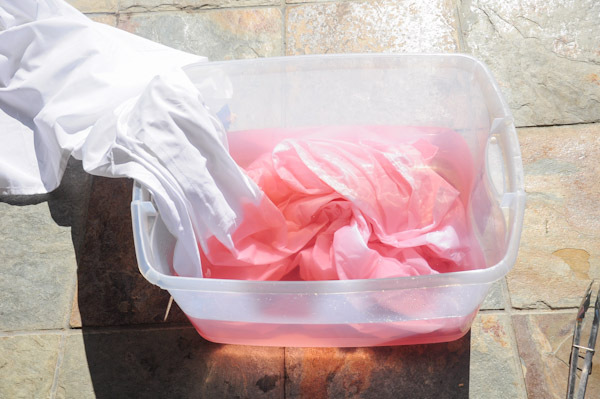 The rule of thumb is ; deeper colour = more dye, less water and longer soaking time. 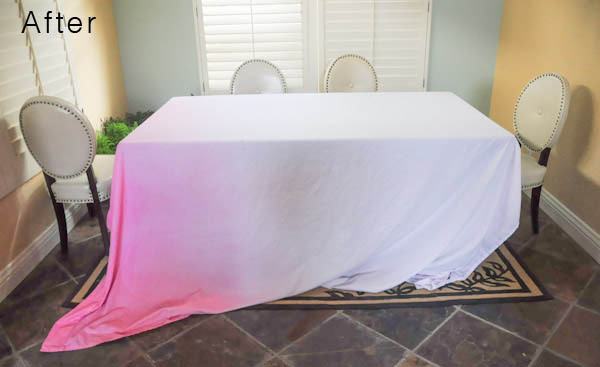 I test dye with a normal white tablecloth first before I put the actually sheets in to get the idea of the colour and either add dye or water to make the colour deeper or lighter.